The second black and white colorway of the Nike Flyknit Racer is available now at Foot Locker, restocked after the shoe initially released in May. The initial colorway didn’t blend the black and white knit material too much, instead making the majority of the upper black. This new version blends those colors all across the upper with a white swoosh contrasting the chaotic upper. In contrast, the midsole and outsole combine those same colors in more traditional way. Besides the Flyknit used for a more secure fit, a forefoot Nike Zoom unit and full-length Phylon midsole are implemented in the tooling for lightweight, responsive cushioning. 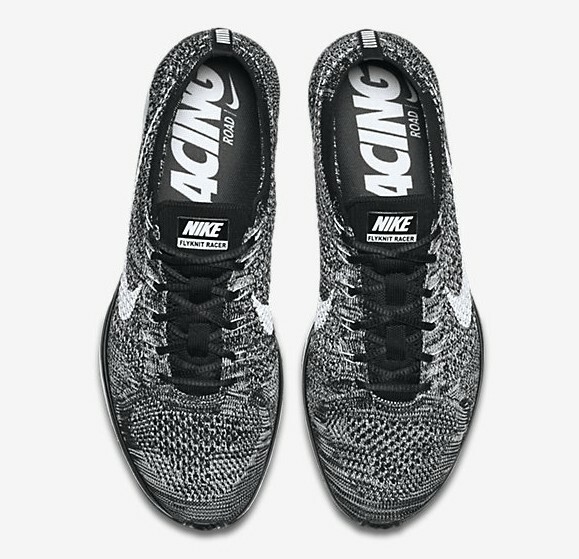 Click HERE purchase the Nike Flyknit Racer ‘Oreo’ now for $150. Update: You can also purchase the shoe HERE for under retail at Jimmy Jazz. Use the code SAVEFALL to get them for $120. Update: The shoe has restocked once again over at Nikestore.